‘Traditsiya: The Contemporary Tradition’ – the name of this passionate brand has been inspired by the diverse and plush tradition of India. We admire each and every aspect of this rich heritage and one of the great arts that caught our attention is ‘Warli’. 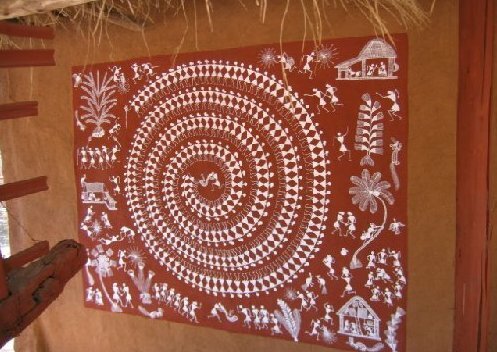 Warli art dates its history back in the seventies as paintings that were decorated and painted on the walls of homes. This art is not like any other folk art that illustrates deities or mythological stories that was distinct to the tribal communities. But this was a more realistic and contemporary art back then and even now, that expressed the tribal lives in flamboyant styles. The Warlis tribe, an indigineous group of people closely knit together, executed this rich folklore on the walls of their houses, since they were not conversant with the written lexicon. This was their way to express themselves reflecting the close implication between human society and nature. The raw rhythmic pattern of the paintings has been praised over the years and has been applied to different fields and areas. The fashion world, not only in India, but also many international labels has incorporated the ‘Warli’ print in their collection. This clearly states that this art has been appreciated from people across the globe. 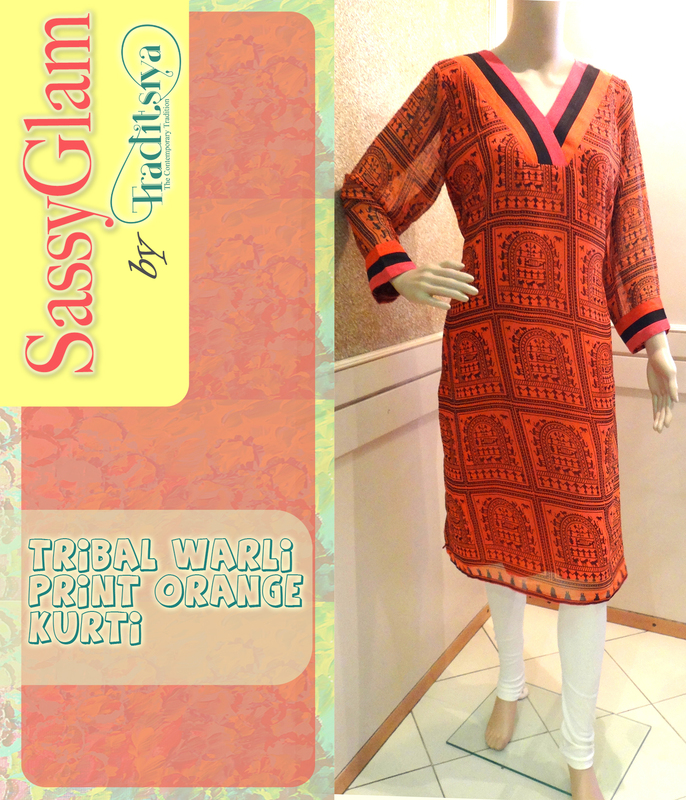 When we saw the rust orange Warli digital print on georgette, we couldn’t resist the urge but to present our Fashion Goddesses i.e. you with this distinct folklore art, a tradition that can be worn with pride. To shop for the entire collection, visit http://www.mirraw.com/designers/traditsiya.